Notes: Requires 4.10:1 axle ratio, automatic transmission and Trailer Towing/Camper Package or Super Engine Cooling with Handling Package. Maximum tow limit with manual transmission is 8300 lbs. (7.3 V-8 Diesel). 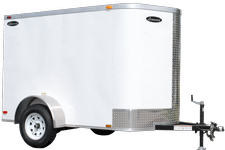 Maximum tow rating for fifth-wheel trailer is 11,200 lbs. (7.3 V-8 Diesel) and 12,500 lbs. (7.5 V-8) with automatic transmission; 8300 lbs. (7.3 V-8 Diesel) and 10,600 lbs. (7.5 V-8) with manual transmission.